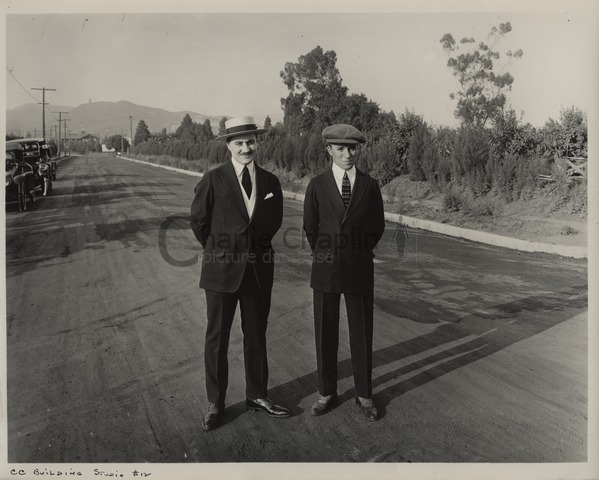 Charlie Chaplin and his brother Sydney were very close and looked out for each other from their childhood days. Four years Charlie’s senior, Sydney played a paternally protective role to his little brother throughout his life. In fact, Charlie Chaplin always credited Sydney for most of his professional and financial success. When poverty and deprivation struck the tightly knit family, both Sydney and Charlie Chaplin spent some of their darkest days in workhouses. Young as they were, both boys did whatever they could to help their mother. At the age of twelve, Sydney was sent to a training ship called Exmouth and subsequently started to work as a steward on various shipping expeditions. 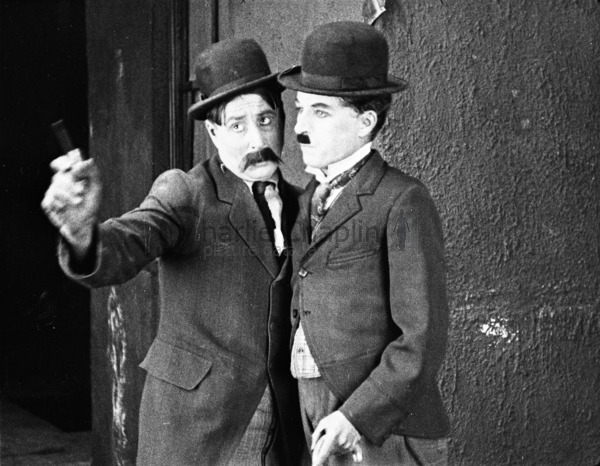 Returning from one of his voyages in 1903, during which he became very ill, he found his mother committed to the mental hospital and his brother Charlie Chaplin living on the streets. Determined to change their lives for the better, with every penny saved from his shipping job, Sydney decided to enter the theaters as did Charlie. Though younger, it was Charlie Chaplin that got onto the stage first. With the sporadic schooling Charlie had, however, Sydney had to jump in to help him memorize his lines. Thanks to his hard work and talents, Charlie soon secured the role of “Billy the page boy” in Sherlock Holmes and started to tour the country with the troupe. But it wasn’t long before Sydney joined the tour too. What gave Sydney Chaplin a real break was his contract with Fred Karno’s Speechless Comedians in July 1906, one of the most famous and successful entertainment troupes in England. Sydney was so successful with Karno that he became the leading comedian. Two years later, he recommended Charlie Chaplin and helped him land a job with Karno, which eventually led Charlie to the United States. Later, when Charlie Chaplin was to leave Keystone in 1913, he suggested Sydney as his replacement. Sydney Chaplin made a dozen comedies there and found success with a character he called “Gussle.” With Charlie Chaplin’s rise to stardom, Sydney was soon handling the majority of Charlie’s business affairs, negotiating most of his big contracts and appearing in a few films during the First National era, including A Dog’s Life, Pay Day, The Pilgrim and the famous ‘Shoulder Arms’. In his later films, Sydney Chaplin enjoyed wide popularity for his comedy performances in Charley’s Aunt (1925) and The Better ‘Ole (1927). 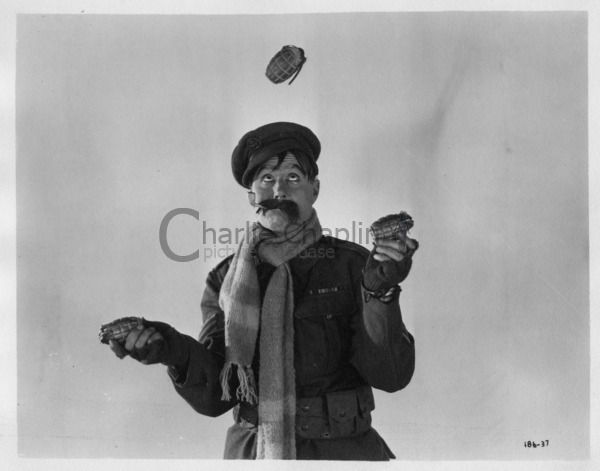 Sydney Chaplin retired from screen in 1928, after finishing A Little Bit of Fluff in Britain, though he continued to worry about his brother Charlie. He resided in the south of France and often visited Charlie Chaplin’s family in Switzerland. Sydney Chaplin died on April 16, 1965, Charlie Chaplin’s 76th birthday. 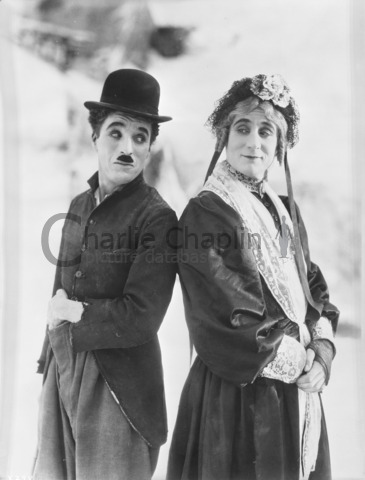 Charlie Chaplin and Sydney Chaplin, dressed as the main character of "Charley's Aunt"
Did you know that Sydney Chaplin toured the United States with the Karno troupe in 1906? Did you know that it was Sydney Chaplin that got Charlie Chaplin his record-setting million dollar deal with First National in 1917? Did you know that Sydney’s most successful screen characters are female impersonations? Did you know that Sydney Chaplin helped with the foundation of United Artists? Did you know that Sydney Chaplin filmed Charlie Chaplin during the making of The Great Dictator? 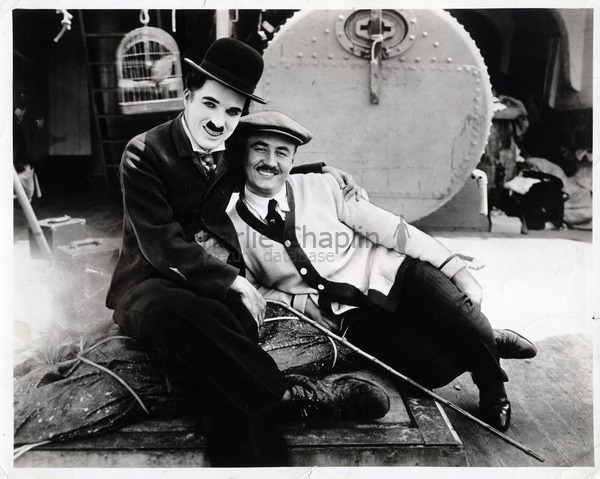 Did you know that Sydney Chaplin was known as Julot in France and Charlie as Charlot? Among Chaplin's leading ladies, Paulette Goddard stands out for a number of reasons. She was the female lead in his last silent film (Modern Times 1936) and in his first talkie (The Great Dictator 1940). Charlie Chaplin had three wives previous to Oona O' Neill : Mildred Harris, Lita Grey and Paulette Goddard.